I am Korean, and I was born in Korea, but I immigrated to Hong Kong when I was two. I lived in Hong Kong pretty much all my life, so when I first came to Korea it like like I was in a foreign country. 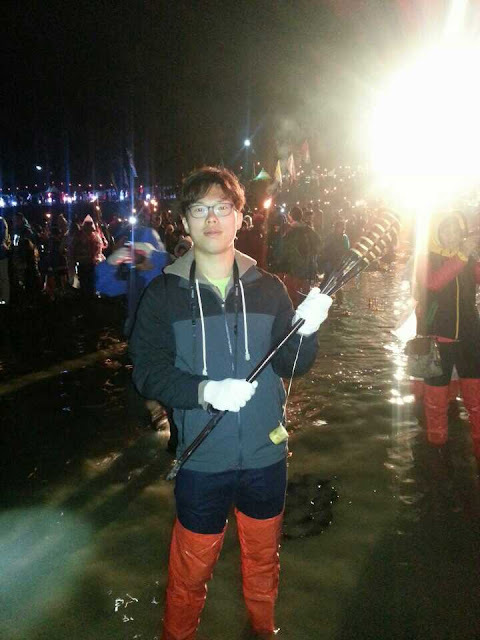 I could speak the language and communicate with people, but there were cultural barriers that got in the way, and my general mentality was closer to a foreigner than it was to a local Korean. When I first came to Korea I was pretty lonesome because there wasn't anyone that I could hang out with, and I had no reliable social skills to begin with. I spent about six month solely at home and then at work. After six month I was starting to feel pretty frustrated, and rather than gathering dust at home I had decided to join an internet site called 'meetup' where you could meet other foreigners for group activities. This kick started my interest in the cultural and traveling experiences, and ever since then I have been keeping pretty consistent with my traveling and cultural studies about Korea, whether it be with a group or alone. 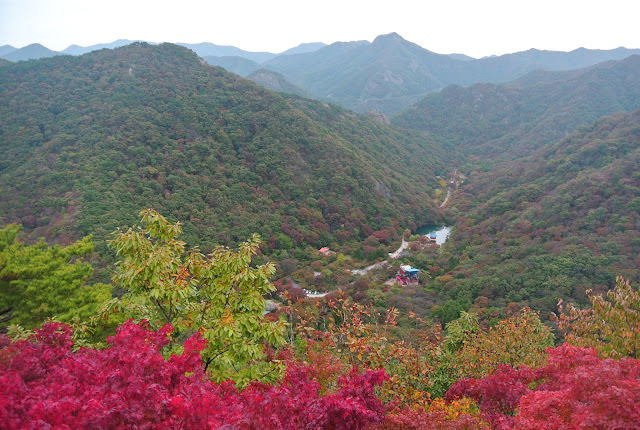 Korea is a beautiful country where all four seasons take turns in commanding the weather and atmosphere, so each destination has it's subtle nuances and moods as the seasons changes. Korea is also a very mountainous countries surrounded by many large mountains almost anywhere you go, so avid explorers and mountain climbers can experience the clear air of nature and the spectacle scenic views from up above the mountain tops. 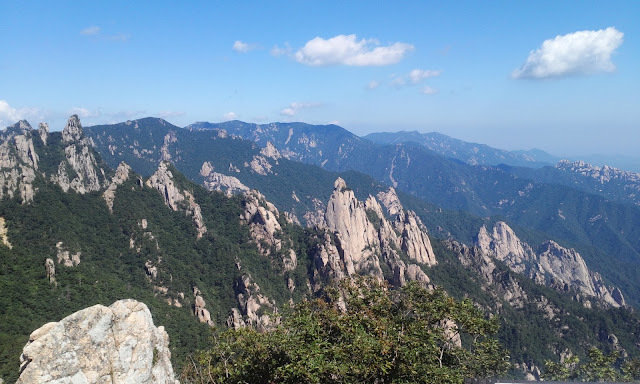 There is a very big mountain climbing culture in Korea with many active participants, so very rarely will you find yourself climbing alone up a mountain. There are also many buddhist temples located around Korea and many of them are located around the mountain regions, or even atop one. 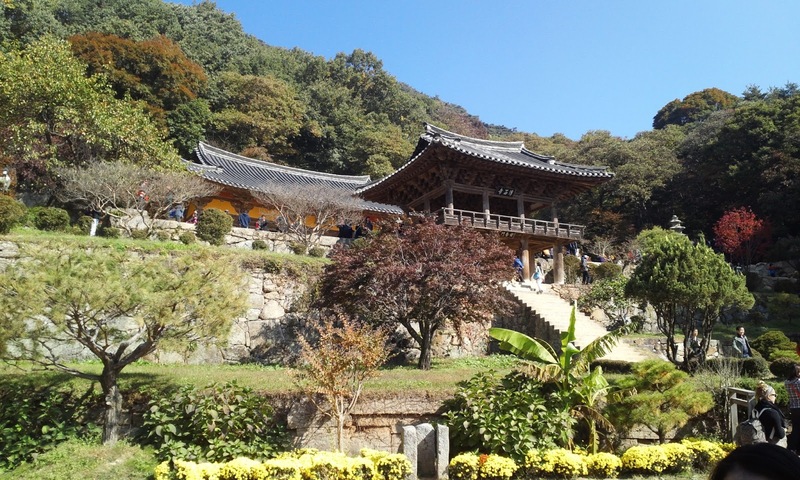 You may find yourself visiting a few temples here and there when you visit Korea. 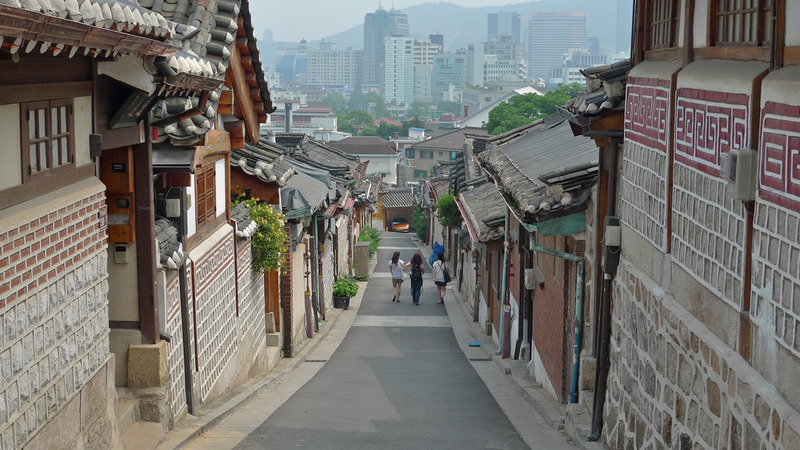 Korea has a pretty lively traditional culture and you can see it through some of its old architecture and roof tops. This may not seem to be the case around major cosmopolitan city areas like Seoul, but there are a fair amount of traditional villages and historic locations scattered around the country that is very tourist friendly. (Unfortunately, many of the traditional villages have become very watered down tourist traps that resemble theme park attractions rather than be of a cultural heritage.) Central seoul is a nice way to start visiting these cultural heritage sites as it houses the popular palace destination, hip coffee shops, and shopping districts located in one central area. 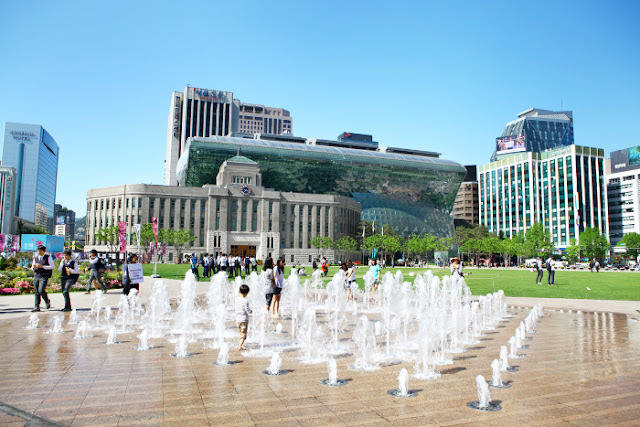 There are also many museums dedicated to history and art, most of them located around the central region of Seoul. Festivals and events are of plenty, scattered throughout the year, located all around the country. The events vary from traditional experiences, music, food and a variety of niche events designed to bring people together. Something always seems to be going on keeping you on your toes, scheduling and re-scheduling, trying to fit in as much as you can within the week or month. I'm pretty sure that on the transport section, above, I mentioned that I am presuming that most people visiting South Korea will be planning their stay around the area of Seoul. 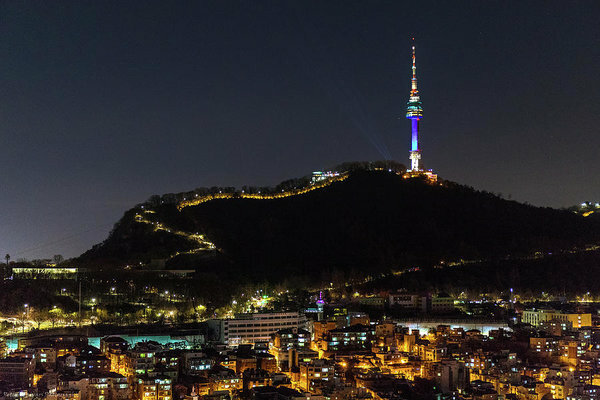 According to the teacher of the internet, Wikipedia, Seoul is home to roughly half of the country's population, which means this city has quite a large appeal to not just the tourists but the locals as well. Considering that it was a country that was poorer than North Korean back in days, it's quite amazing what the city has become now. Seoul is a global city on the rise, and it has a pretty stable economy. It has been considered to be one of Asia's most livable cities, but it also has an expensive real estate market especially along the downtown area. 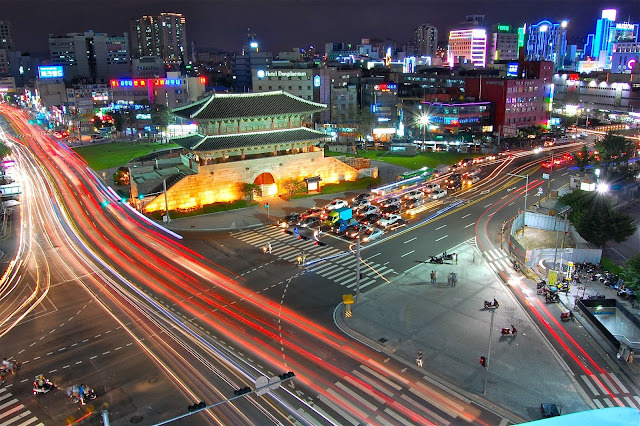 Seoul has also hosted various international events during these past 40 years or so, from the Asian Games, Olympics, World Cup and G-20 summit. 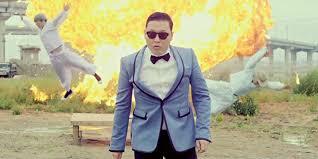 Obviously there is also Gangnam, which is notorious because of the viral youtube video sensation "Gangnam Style." To be honest, Gangnam was not a place that I frequented often. This was mainly because it was pretty far away from where i lived, and there isn't a lot to do there either. This may sound like an excuse but there really is little to do in Gangnam. 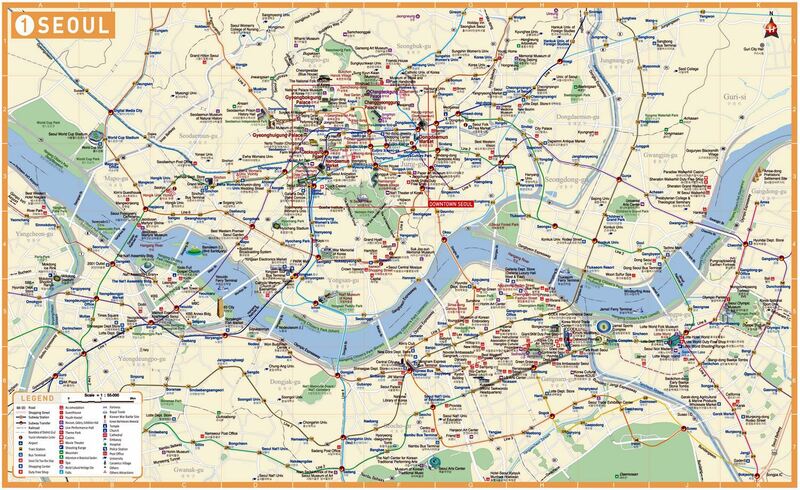 (I mean the video is a satirical representation of the Gangnam district, but it has put the central Gangnam area on the maps for many people, and I think many tourists make a pilgrimage to this station specifically.) I'm not saying ya'll should avoid this district like a plague, I'm just trying to say that it's not a place that many of the locals frequent when they want to hang out. Sure, many of the locals do go there, but many of the locals also use the term 'Gangnam' very broadly. If you refer to the map above, you may have noticed that there is a large, thick, blue line running across the map, hence dividing the map into two sections. That blue line is the Han river. The section above the river is one half of Seoul and the the section below is the bottom half, and this division has created the terms Gangbuk and Gangnam. Buk, means north in Korean, and Nam, means south. For the general area above the river people refer to that area as Gangbuk, and for the general area below the river people refer to it as Gangnam, but because of the popular music video many people think of Gangnam as a central area of Seoul. If I were to personally recommend a central area where there are many activities to do, I would suggest hanging around the city hall area. There are many heritage sites and tourist attractions located around that area, so your average visitor will not have many problems with finding things to do. After hanging around this area, I would recommend Gangnam, which is a ritzier location in Seoul. Considering that I've lived in Korea for 8 years, I have never actually entered the building itself, so I couldn't tell you anything about the building itself. 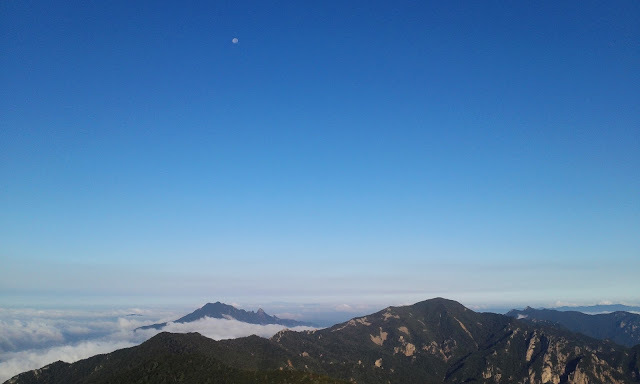 All I can say is that it is one of the central locations of the Gangbuk area, and I generally start from this area when I want to go on long walks around the city area, with my camera. If you get out of exit number 3, you will be surrounded by a bunch of large buildings, city hall itself, a hotel, a large open plaza area and Deoksugung palace. I recommend a walk around the palace as it is a nice open area, with lots of traditional structures. I believe it is a heritage site, so if you like historical and cultural things, this is a pretty nice area. There is also some western influenced traditional structures that are quite interesting. It was something to do with some royal guy liking western things, or something along that line. (don't quote me on historical things, because I am quite thick in the head) There is also a nice art museum, and depending on the scheduling, they sometimes have some pretty cool shows. They also have this traditional changing of guards ceremony which is pretty interesting to watch. I think you can check out the schedule here. You can also kind of follow the guards around outside of the castle walls, but if you follow them long enough they kinda break character, so don't expect too much from following them around. There isn't too much to do around the exterior of the castle walls, but every now and then they do some open markets and people will busk and perform. Sometimes they wrap hand knitted tree sweater things around the trees which are kind of cute. There is a modern art museum behind the palace area, and they do some interesting exhibitions throughout the year. I went there a few times when they were doing some interesting exhibits, so if you are interested in that kind of stuff you can try visiting this museum. 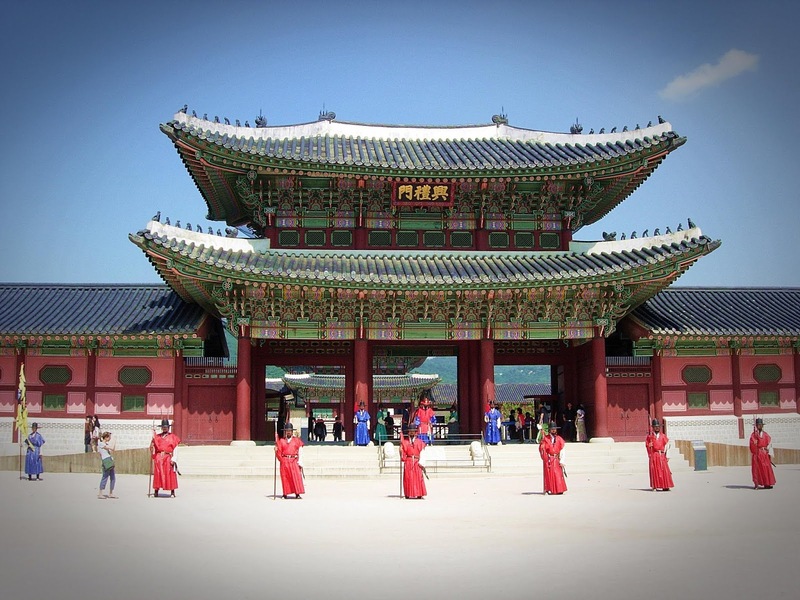 Gyeongbokgung palace is a popular tourist destination for many people, and it has a rich historical background. It is one of the largest palaces in Korea, and it is a great place for sight seeing, especially if you are into traditional and cultural heritage type stuff. It is quite a large area so expect to spend at least an hour. 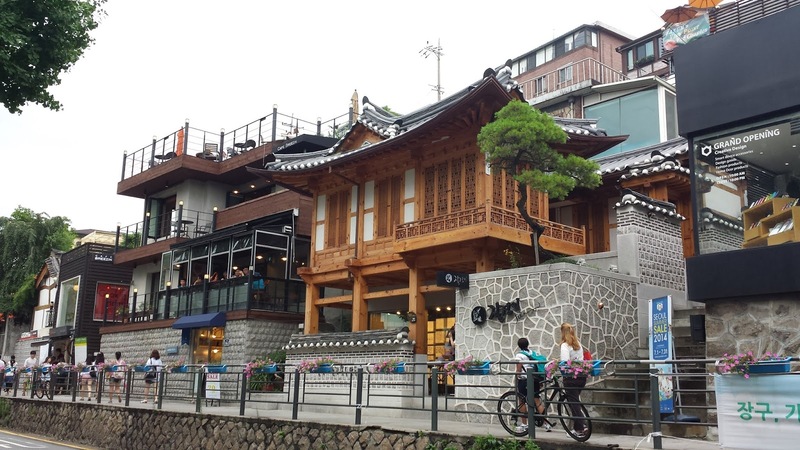 Also, around the palace area, there are places where you can borrow traditional Korean clothes called Hanbok, which you can rent out for a limited time. Many people take on this cosplay attitude to enhance their photo taking experience. When you are around this district, you can expect to see people dressed up in traditional clothing. At night they light up the palace area making for an extravagant night tour around the palace, but I never got the opportunity to partake on this tour because it is accessible by reservation only. If you are a tourist, and are holding onto a valid passport you can enter on the day. If I were a tourist I would definitely take advantage of this experience, if possible. 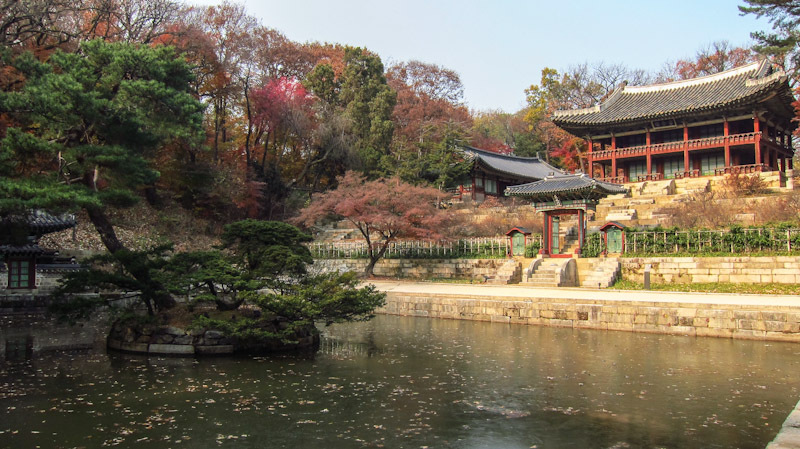 Changdeokgung palace is another popular destination for tourists, and in my opinion this palace is the most interesting palace when compared to Gyeongbokgung. Please don't be deterred by this comment, because if you have the time you should visit both palaces. Changdeokgung has a nice bonus area called the secret garden, where you can only get into by limited access, which makes it that much more appealing. By all means, it is a beautiful area, and it you have the chance I really recommend you visit the secret garden, because they give foreigners more leeway. Insadong is a very tourist heavy district where many people conjugate to buy souvenirs, food and participate in activities. There also a lot of art galleries around here, so you can check out the artwork as well. Insadong, in my opinion, is not a very interesting area, and it has become a very commercial district; considering that it is supposed to be a traditionally themed area, it just feels like a theme park attraction with a nice front cover. If you are in tourist mode, by all means, you should check out the area, but just make sure you keep your wallets in your pocket. Ah, Myeongdong. The tourist destination that all foreigners go to, but all locals try and avoid. It is a very commercial area where people arrive en mass. When visiting this area you will almost certainly be swimming through a crowd of people, making the most necessary of uncomfortable body contact akin of those made in nightclubs. Street food here is way, way, way overpriced, and surprisingly the quality of the food is extremely average. It's too bad that most people who come here to experience the food end up feeling poorer with a stomach half empty. I would suggest you keep your wallets close by and save up your money for the traditional market which is about a 15 minute walk away. By the way, if you like Korean beauty products, and you look like a foreigner, this place is probably your best bet for garnering cheaper prices and special deals. 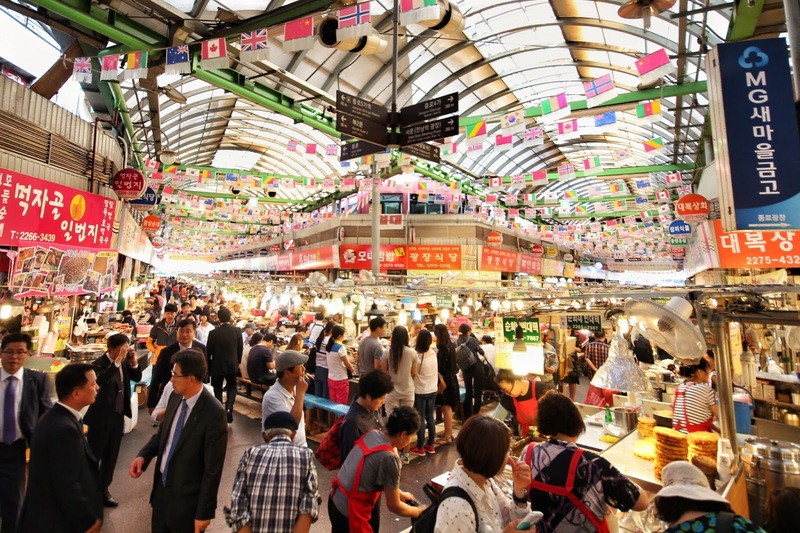 Namdaemun market is considered as being the biggest traditional market in Korea, and just by looking at the picture you can just imagine the type of energy emanating from this area. 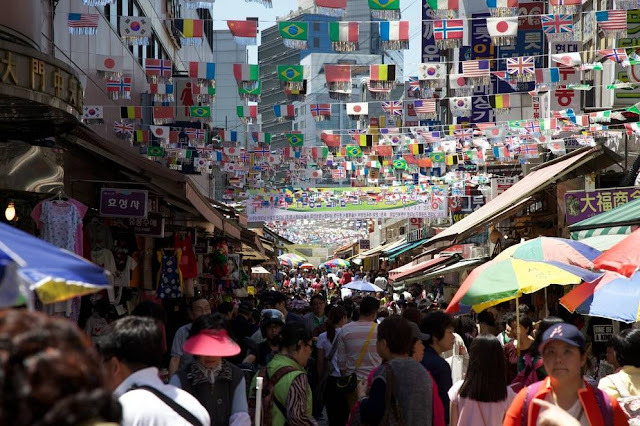 It can get as hectic as Myeongdong, but there is far more space around this area, so there is some breathing room. There's a lot of good food to eat, but the most popular ones are located in small alleyways, and there really is no way for non Korean speakers to know, because the menus are all in Korean. I would suggest looking out for restaurants with lines; where the majority of people are locals. There is a really good grilled fish restaurant somewhere around here... You can also pick up a variety of cheap goods from counterfeit clothes, electronics, random materials and many other things that fancy your interests. Yet another super, crazy, busy area where middle aged ladies are hustling on a daily basis to sell traditional foods and snacks. This place is well loved by foreigners and locals alike, so when it comes to food this place is one of your best bets for good cheap eats. Keep in mind though that most of the food served here are local eats, and some of the food can get kinda exotic. 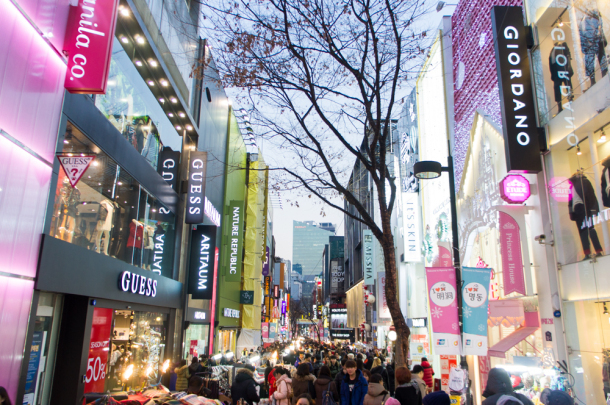 Dongdaemun is also a market, but it is lesser known as a market now that the fashion industry has turned this area into a fashion hub. Ever since the DDP was built, it has become a very modern and hip area for consumers to buy hip clothes for cheap. Personally I come here now and then for the special art and design exhibits at the DDP, and there are some Russian retail stores where you can get some Russian pastries which are amazing! I have a inkling of a doubt that most of ya'll would be least interested in Russian imports when visiting Korea... You can also buy fabrics and materials at wholesale prices, so you will get to see a lot of fashion design students coming to this area to buy materials and what not. Stores in Korea, in general, close pretty late, but many of the clothing stores here stay open all the way past midnight; until the wee hours of twilight. While late night shopping you might stumble across some bumbling intoxicated old Korean men, a sight noticed often in the concrete 'zootopia' of Seoul. 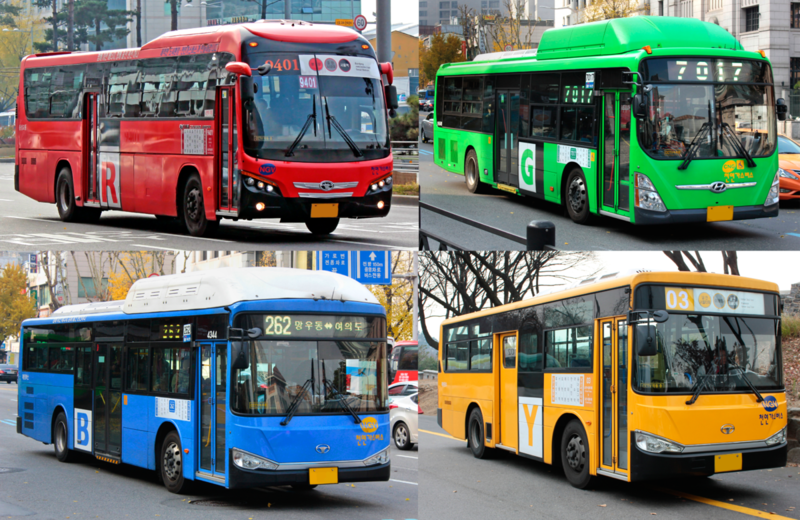 to visit the official website, and get further information about transport options. I've been up here for both daytime and nighttime views, and they were both great, but for photo taking; unless you have a great camera, it would be easier to tale daytime photos. Most cameras seem to struggle to take nice nighttime photos, but if you already have a nice camera, why not schedule to go both on daytime and nighttime! 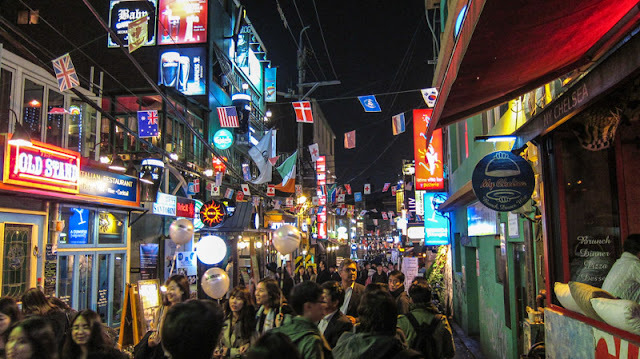 Itaewon is a neighborhood with a large foreigner population; quite literally a western town. Unfortunately the area has been affected by a fair amount of gentrification, so the area is starting to look more like your general hipster town. It is still THE hot spot for foreign foods ranging from middle eastern cuisines,Indian cuisines, Mexican cuisines, fusion cuisines, bars, pubs, hip hop clubs and transgender bars. I mainly stop by for the Baklava, kebabs, tacos and counterfeit basketball shirts. They are also pretty well stocked for the newest basketball shoes, at a competitive price. This place is also the number one spot to visit during Halloween. 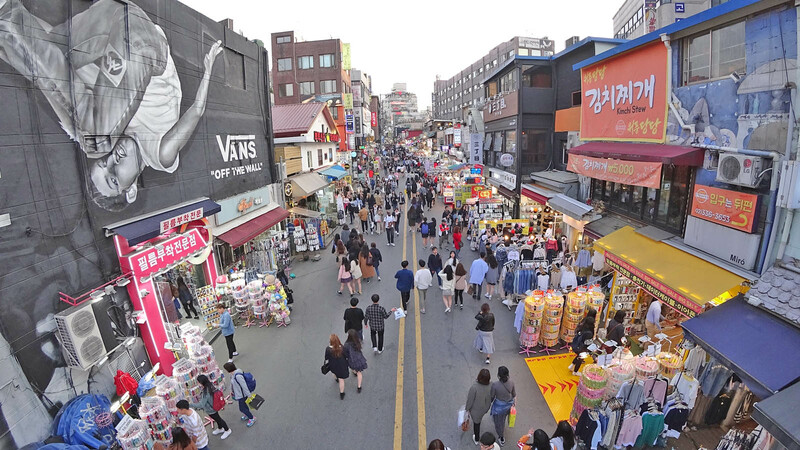 I had a difficult time looking for a reference image that was the best representation of Hong dae, because this area has a lot going on, so I had multiple images that I was trying to reference. in the end I picked this image because it was probably the most populated area of Hong dae, and I was guessing that most people who had visited this area would be able to recognize this image. To be honest Hong dae is not an area that I hung out in because I really dislike areas with large crowds, but there is a lot going on here in terms of culture. When you somehow squeeze yourself out of exit number 9(? ), which is also one of the most crowded entrance/exit areas of South Korea, you will immediately be gravitated towards one direction. Take the road where the KFC is to your right, into the alleyway where literally everyone will be moving towards. Once you get sucked into that area you will be introduced to dancers, singers, comedians etc doing their live performances, and crowds of people will be cheering them on. It's quite an exhilarating experience to be seeing live amateur performances, but every now and then some performances may seem beyond amateur level. Hong dae is a colloquial term used by the locals to call the university in this area. Hong dae is a contraction of the full name of the university, Hong Ik University. In Korea universities are called Dae hak, and basically they took the words Hong and Dae, and then merged them to create a modern Korean title Hong dae. (When you live in Korea long enough you will come across these contracted terms quite a lot.) Hong dae university is an art university so you will come across a number of artsy fartsy hipster types more often than not around this area. 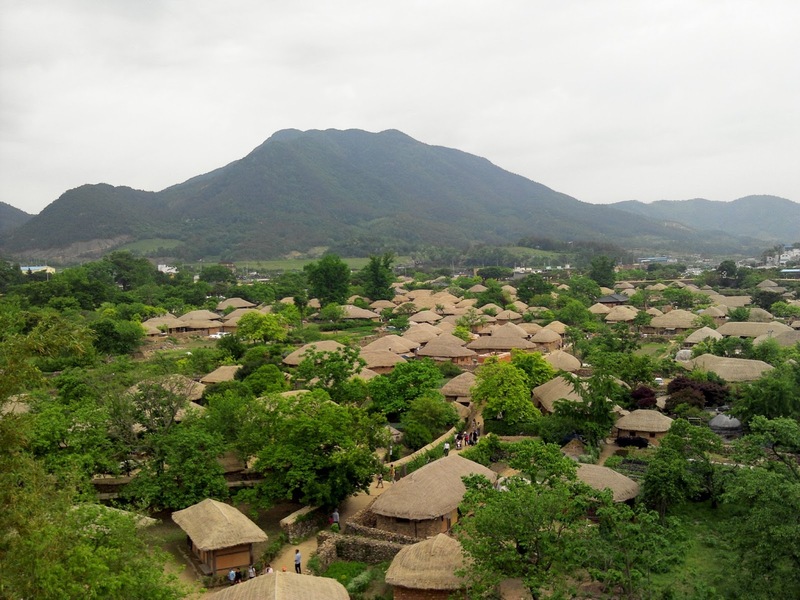 Almost all of the Dae hak areas in Korea are very youthful in terms of culture and energy, so you will find yourself surrounded by lots of students throughout your visit. Food is plenty, with a variety of eateries around. There are also a number of cheap clubs that you could visit, but if your are not into bumping and grinding the I would advise you to avoid these venues, because clubs in Hong dae will get super crowded. Like oceans of people crowded. One thing is certain for sure. If you like to party, you will really enjoy your time at Hong dae.